Bless Nintendo for offering decade old roms for the 254th time. But arent these Nintendos properties? Should they give them away for free? I wouldnt blame them for their classics still being played even for decades up to date. Was that the week of PS4 MHW bundle release ? It didn’t move any unit (MH bundle). this 4k for the stand alone is Switch only? Another 50k week for Switch. Impressive stuff. then 29k-20k not that bad. MHW PS4 bundle having no notable impact on hardware sales, is tragic for MHW, since it further proofs weak legs, despite relaunch. I think the MH bundle isn’t till next week? 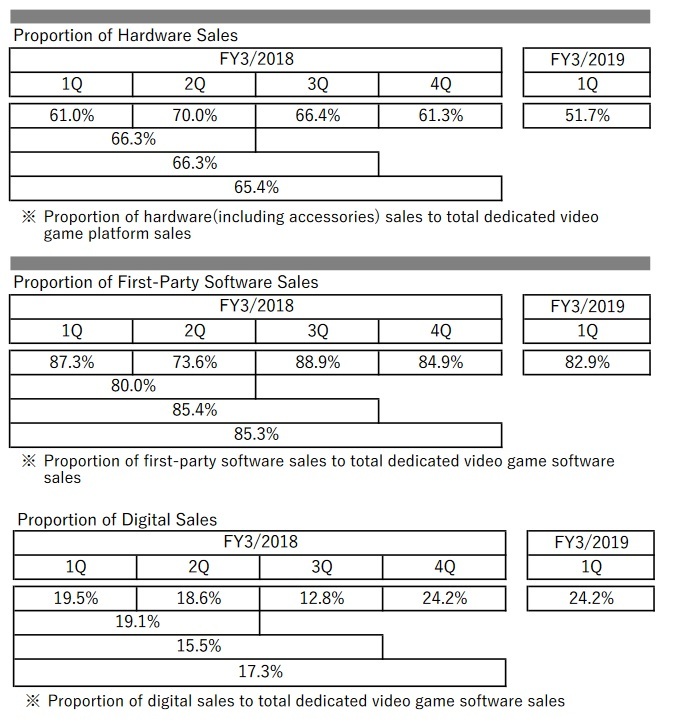 Does the "proportion of digital sales" table mean that, given the last 2 quarters, we can now estimate for each new title an average of around 25% digital? If I am reading this right, given Nintendo's historical digital sales, that is a significant improvement (which I expected for the Switch), and it can only go up.